As competition for consumer attention and loyalty intensifies, brands are increasingly turning to packaging to achieve differentiation on retail shelves and enhance engagement. 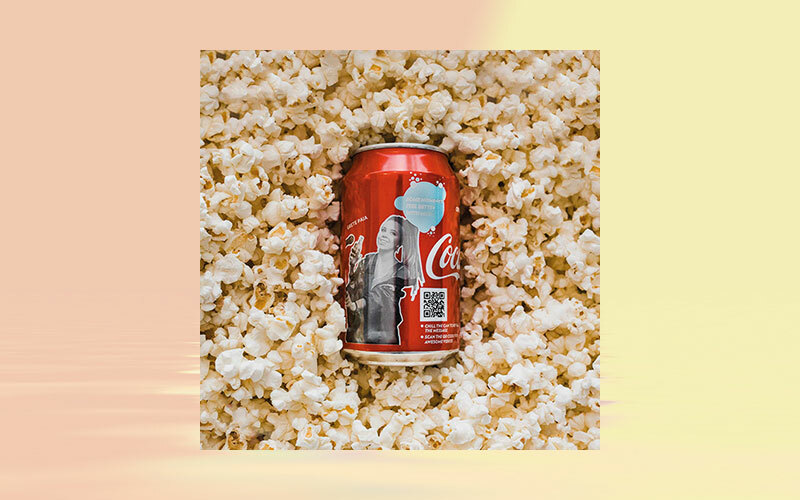 To deliver an interactive experience to consumers before, during and after consumption, Coca-Cola has rolled out cans of Coke, Coke Zero, Fanta and Sprite in Lithuania, Latvia and Estonia featuring Reveal temperature sensitive inks. The result of collaboration between Crown Bevcan Europe & Middle East and Chromatic Technologies Inc. (CTI), Reveal inks allow graphics to change to ‘reveal’ specific imagery and messaging during consumption. Two thermochromic inks appear at the same time when the can is cold, but as the cold product is consumed, one ink disappears. This technology provides one ambient ‘original’ image, one ‘cold’ image and as the consumer drinks the contents of the can, a third image appears, offering the perfect vehicle to hide a message. Coca-Cola featured four specific messages – one per brand – to engage with its customers in a fun, unique manner. Cans are decorated to include either a person or cartoon-style animal, from which a speech bubble emanates to hold the thermochromic messaging which appears when the can is chilled. An interactive quick response (QR) code beneath the image links to exclusive video content, driving traffic to the brand’s website. The application represents the first commercial use of Reveal inks.